The lawyers at Stone & Sawyer, PLLC use their experience of litigating cases in courts in Arkansas, Texas, Tennessee, Mississippi and South Carolina to offer services in a variety of legal areas. As trial lawyers, Phillip A. 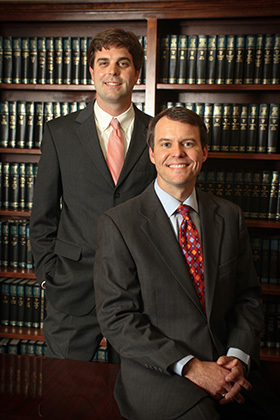 Stone and R. Jeffrey Sawyer thrive on litigating cases, advocating for and protecting clients throughout the legal process. The attorneys at Stone & Sawyer also use conflict resolution techniques to resolve legal matters. Stone & Sawyer fiercely advocate for clients facing domestic relations issues such as divorce, adoption, child custody, visitation and support. The firm offers corporate clients legal counsel regarding contracts, employment agreements, business formation and structuring, litigation, and legal compliance. Stone & Sawyer offers estate planning services through wills, trusts and other legal directives. The firm also regularly represents clients in probate matters. Stone and Sawyer's aggressive advocacy serve personal injury clients well. The lawyers at Stone & Sawyer, PLLC are dedicated to understanding our clients' specialized legal issues and ensuring that our clients' needs are addressed.